For Sale: One - Used - Second Hand - FW Schaefer High Efficiency Aluminum Melting Furnace. Inventory item: DCM-2464. 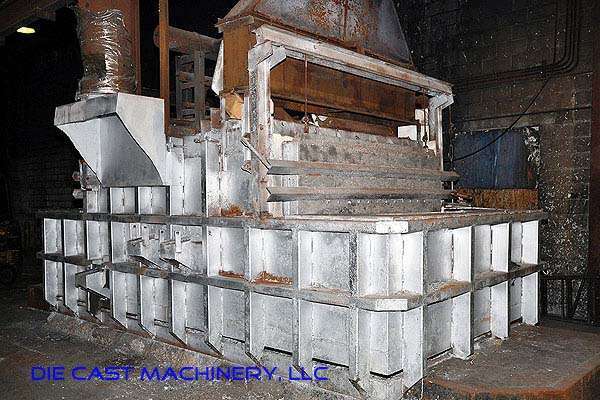 One Used (second hand)Frank W. Schaefer high efficiency gas fired reverberatory type 3,000 pound per hour melt rate aluminum melting furnace, new 1996, serial number 7-1159-0. Die Cast Machinery, LLC Inventory Number 2464.